Western High is a high school located in Davie, Florida. 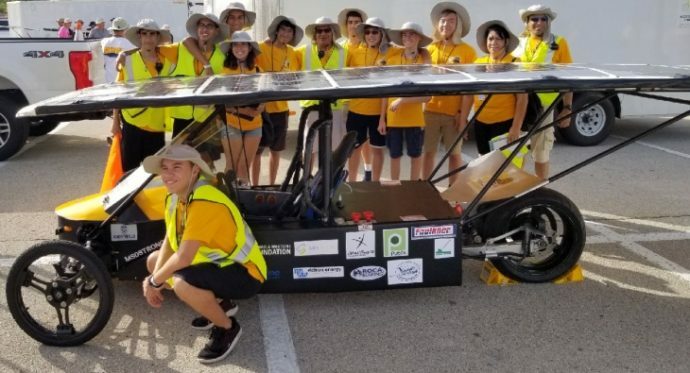 The Western High Solar Cats school team have been racing an updated version of their Solar Cat V2 in the 2018 solar car challenge – a cross country race from Fort Worth, Texas to Palmdale, California. The class for their solar car is the classic, where students build a metal framed vehicle from materials like aluminium and steel. The cars are powered with lead acid batteries that are charged by a solar array (no more than 19% efficient). 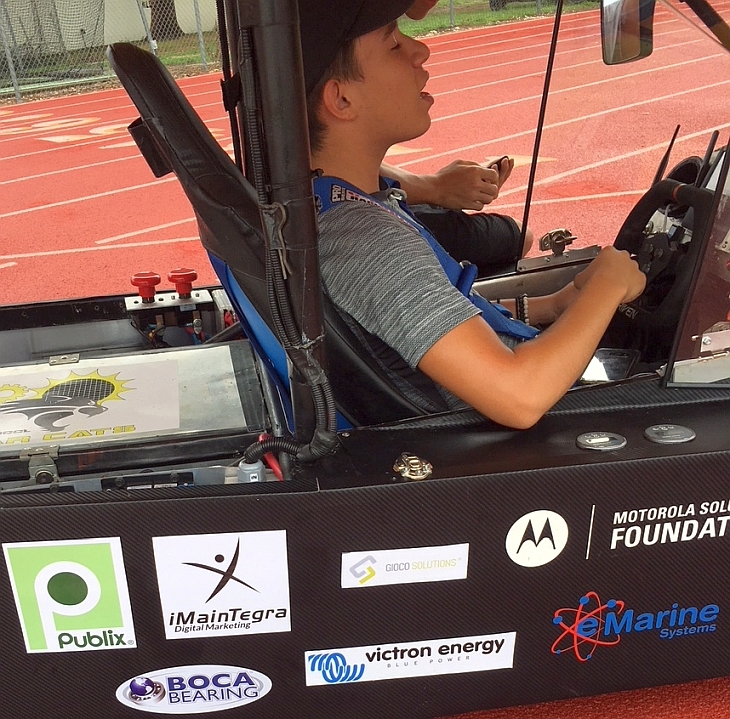 The goal of the competition is to drive the solar car as far as possible, whilst maintaining at least 15mph. “I have great news. 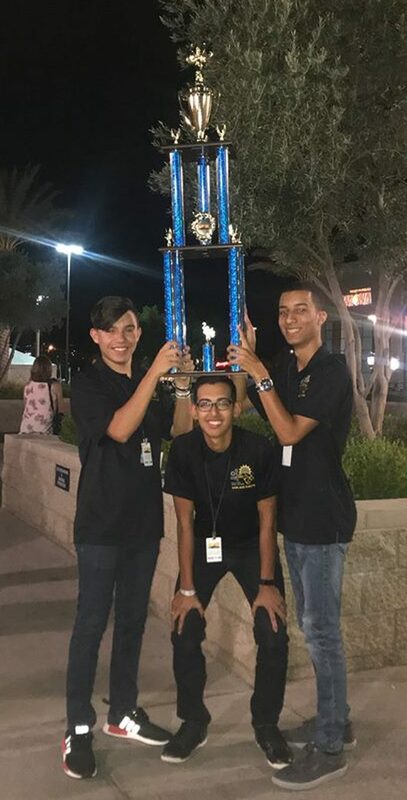 The Western High School solar car that you help sponsor just completed the race yesterday evening, travelling from Texas to California. Out of the 14 cars racing in their division they have taken first place overall. In addition they have picked up additional trophies along the way. They were declared champions of the SCC classic division and won trophies virtually every day over the 6 day race. Additionally the car was awarded the Lockheed Martin ‘best in class engineering award’ for the best designed car. One of the team members also won an award because of his passionate interest in solar that he demonstrated throughout the race. This has been an exciting event. Your solar charge controllers, BMVs and Color Control GX worked flawlessly in extremely high heat and challenging road conditions, travelling through the deserts of New Mexico and Arizona – where temperatures soared as high as 110° Fahrenheit (43° Celsius). It gives Victron Energy great pleasure to support the young engineers of tomorrow – and to enjoy their success! Thanks to Justin Larrabee of Victron Energy in the USA, and Paul Landino of eMarine Systems for the photos and information received.